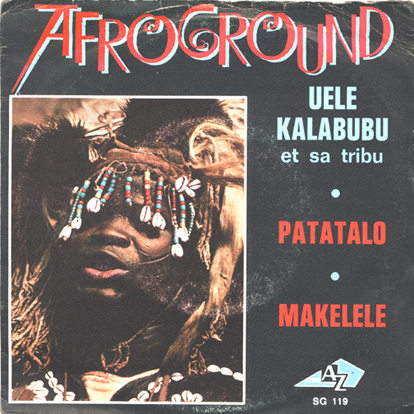 Uele Kalabubu (and his tribe) were supposedly from the Republic of the Congo. I am unable to find any information on them (or is it he?) or Afroground. Not sure if they were some European studio creation like Kongas… But I have seen other singles and albums by them, but none of them have a picture of any musicians. Sometimes while researching these records, I end up with more questions than answers. If you have any information, please contact me. Catalog number SG 119 on AZ records of France.